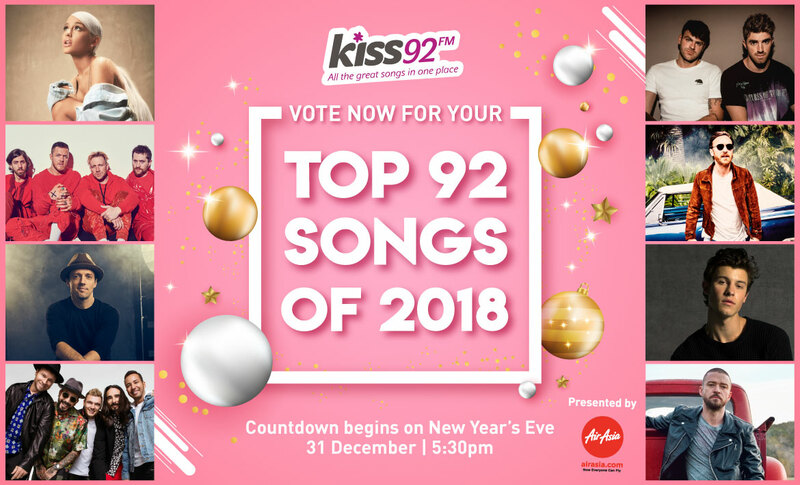 Strap yourself in and turn up your radio this New Year’s Eve when we countdown to 2019 with The AirAsia Kiss92 Top 92 Songs of 2018! Vote for your song of the year to send it to the Top of Kiss92’s annual year-end chart! Register your vote then tune in when we count them down from 5:30pm on New Year’s Eve!